Brig. 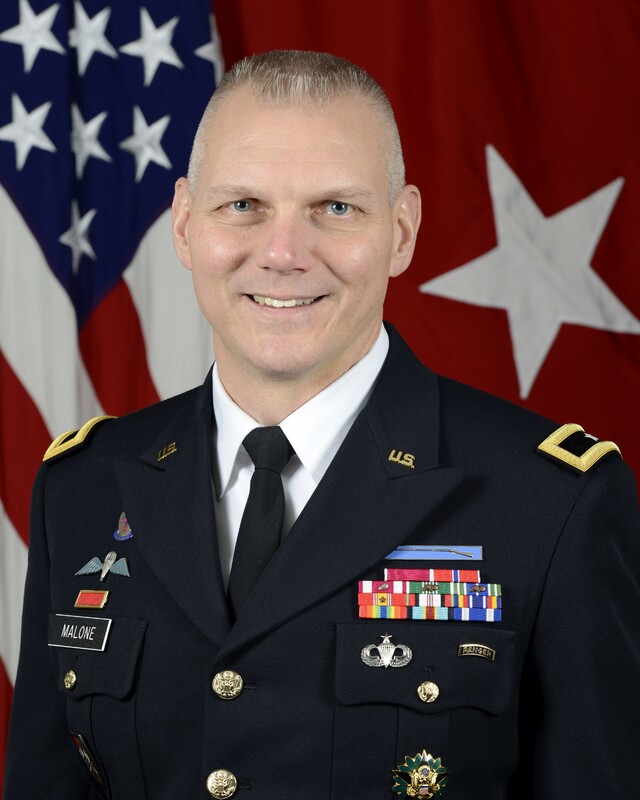 Gen. Vincent Malone assumed the roles of Deputy Commanding General, U.S. Army Research, Development and Engineering Command, and Senior Commander, Natick Soldier Systems Center, on Jan. 5, 2018. The general previously served as Acquisition Advisor to U.S. Army Forces Command. 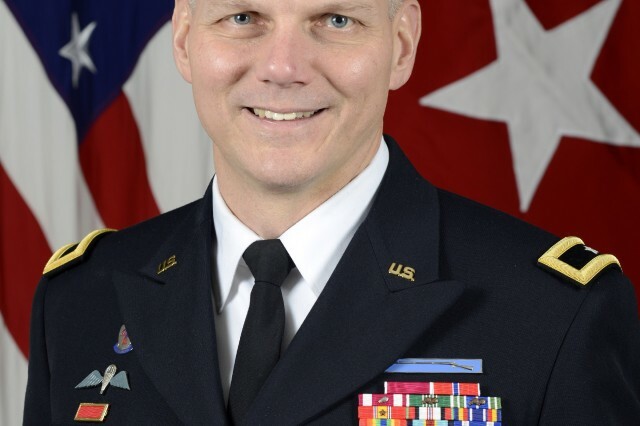 Prior to FORSCOM, COL Malone was assigned as the Military Deputy to the Deputy Assistant Secretary for Plans, Program & Resources, OASA(ALT), Washington, D.C., where he served as the co-executive of the Equipping and Sustaining Program Evaluation Groups (PEGs) responsible for overseeing the planning, programming, budgeting and execution of all associated funding. He is a 1989 graduate of the U.S. Military Academy and was commissioned in the Infantry. His military education includes the Infantry Officer Basic and Advanced Courses, Command and General Staff College, and Senior Service College. He holds a Master of Science degree in Chemistry from the University of Colorado, a Master of Science degree in National Resource Strategy from the National Defense University, and is a graduate of the Defense Acquisition University Executive Program Manager's Course. The general spent his formative years as a Platoon Leader and Company Executive Officer in the 1st Battalion (ABN), 501st Infantry Regiment, Fort Richardson, AK. He was assessed into the Acquisition Corps following Company Command at Fort Benning, GA and an assignment as an Assistant Professor in the Department of Chemistry at West Point. His acquisition leadership experience includes assignments as Assistant Product Manager for Light Tactical Vehicles, Commander of the Army Cold Regions Test Center and Project Manager for Training Devices. He has also served in a variety of HQDA staff positions as a Systems Coordinator, Legislative Liaison, Executive Officer, and Portfolio Director. In addition to his recent acquisition experience, he deployed as the Chief of Plans and Integration, ARCENT Support Element -- Afghanistan. His awards and decorations include the Legion of Merit, Bronze Star, Meritorious Service Medal, the Army Commendation Medal, the Army Achievement Medal, the Army Staff Identification Badge, the Senior Parachutist Badge, the Expert Infantryman's Badge, and the Ranger Tab.